The LEGO Movie 2, What Men Want, Cold Pursuit and The Prodigy all open at the box office this weekend. Low brow humor and a healthy sprinkling of F-bombs delivers laugh out loud moments for star Taraji P. Henson in What Men Want. Taraji P. Henson stars in the new trailer for a gender-swapped remake of the 2000 classic Mel Gibson comedy, What Men Want. 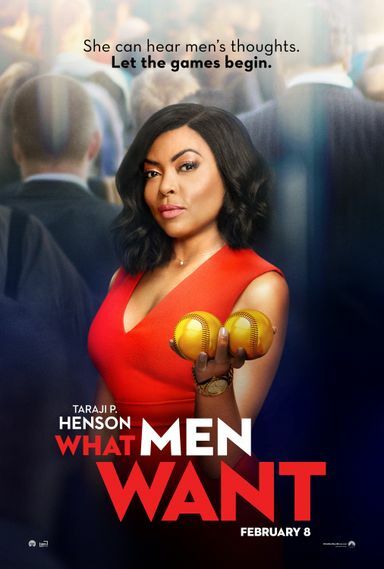 Taraji P. Henson enters the mind of man in the hilarious new trailer for the gender-swapped remake What Men Want. Taraji P. Henson has been tapped to star in What Men Want for Paramount Players, a gender-swapped remake of What Women Want starring Mel Gibson. The new version follows a female sports agent (Henson) who has been constantly boxed out by her male colleagues. When she gains the power to hear men’s thoughts, she is able to shift the paradigm to her advantage as she races to sign the NBA’s next superstar.